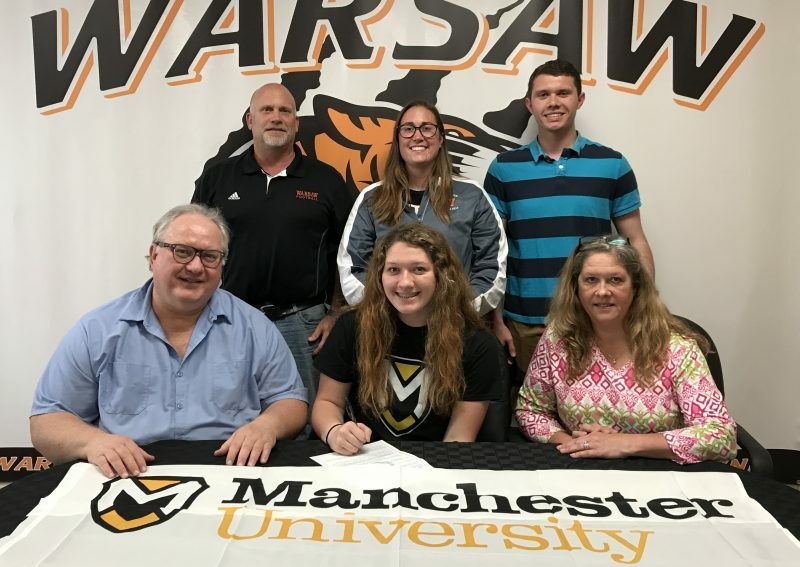 WARSAW – Warsaw Community High School Track & Field senior Madison Haines has announced her intention to attend Manchester University this fall and compete with the Spartan Track & Field program. Haines, a senior that has competed for Lady Tiger Track & Field four years, has been a tremendous leader and student-athlete representative of WCHS. A member of teams and service groups assisting with Feed My Starving Children, Haines has served as a STARR Peer Tutor, assisted with raising funds for Riley Children’s Hospital, and volunteered with Magical Meadows. The scholar athlete has also been recognized by her peers as well, being named the Junior Class President and is currently the WCHS Student Body President. Haines intends to major in secondary education at Manchester and compete for head coach Brian Cashdollar and throws coach Kaylea Jachno.